The uva fragola (concord grapes) commingling with the heat created an intense saccharine smell that permeated the entrance of the supermarket. It hits you instantly as soon as you walk in. The only natural thing to do is to look for the source of that alluring fragrance and grab yourself a share of the dark purple grapes in clear boxes. Apparently, I wasn't the only one who fell into this little scenario. The rack of the concord grapes was already almost empty. Concord grapes are a rarity in the shops. They are grown only to be consumed as fruit, not for making wine. Apparently, the European Union has a law that prohibits the commercialization of wines produced from these grapes or any other non-European grapes that have low quality. This law is supposed to retain a high quality on European wines. Since this is a country big in viticulture, the vineyards are dedicated to the ones that can yield good wines. Burgenland, Austria is the only region in the EU, that can legally produce & sell fragolino, the wine from concord grapes, because they maintain a strong opposing position against this law. Elsewhere, they are produced in Switzerland, Australia and the US. These fruit are indigenous to North America, having been developed in Concord, Massachusetts in 1849 by Ephraim Wales Bull. Whew! That's a lot of information in one day. You can see all these in wikipedia under fragolino but it's only in Italian. I remembered encountering some recipes with these grapes at the internet before. Since I bought a kilo, it was the perfect opportunity to put myself to work in the kitchen to come up with a cake for once. 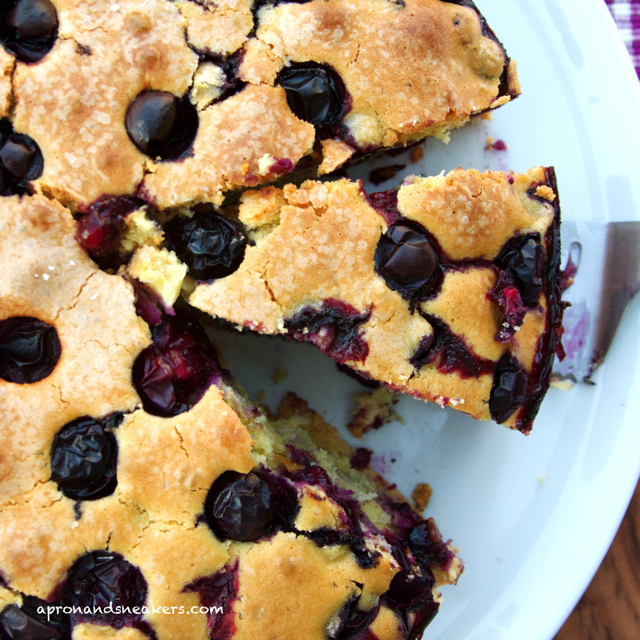 I found a recipe for focaccia con uva fragola. It is something common in Tuscany and is the only sweet focaccia that's done. It is usually rectangular but since I didn't have a baking dish with that shape, I used a round one. It came out looking like a cake, not a focaccia. I followed every single step in the recipe and it even came out looking like the original one. However, I think it should be renamed. 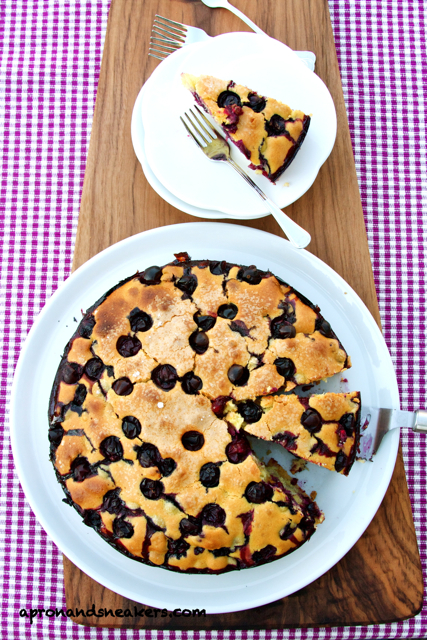 I would say that it's more a cake than a focaccia. 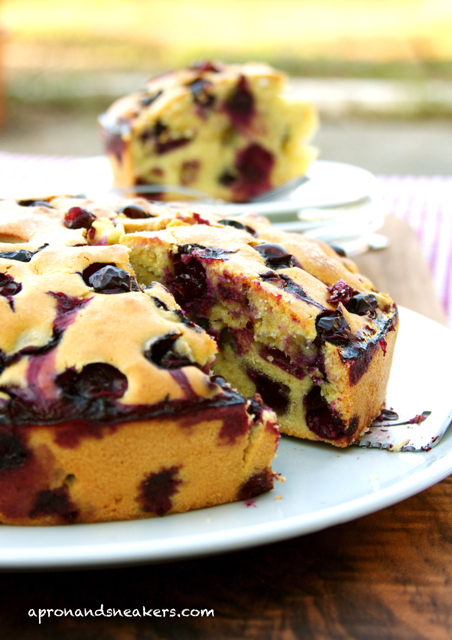 Focaccia, cake, focaccia, cake, whatever it is. It came out good and I'm happy with the outcome. Baking is at the bottom of the list of my capabilities. I can come up with very simple ones but really, I'm not meant to be a baker. So when I was baking this cake, you can almost say that I have literally set camp infront of the oven. I was watching the baking through the glass window to see if it was rising and cooking like how it should be. And when I took it out of the oven, it still looked well-risen and beautiful. I had to leave it unbothered for a while to let it cool before I can taste it. I had this uneasy feeling that it might swoosh down, you know, deflate, while it's temperature was going down. I have this paranoia with cakes. One minute they're beautiful, the next minute, they look like a shriveled mass. When I was finally able to taste it, I had to congratulate myself for a cake well done until I came to the seeds of the grapes. Uuhhhmmm, didn't I seed them? If you do bake this, please don't forget to seed the grapes unless you like the added feature of grinding your teeth against the seeds. Whisk the eggs with the sugar. Add the lemon rind, then the vanilla powder, oil and the flour. Sift from top to bottom. Add the baking powder then the concord grapes. Leave some grapes to put on top of the focaccia. Transfer to a buttered baking dish, square or round. Distribute the remaining grapes on the top of the mixture. Bake at 180 degrees Celcius for about 1 hour.